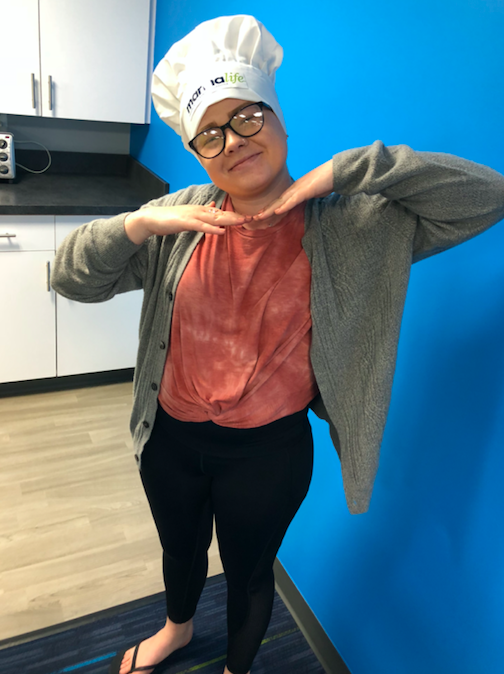 Here at Snag-A-Slip, we love to have fun and try new things. 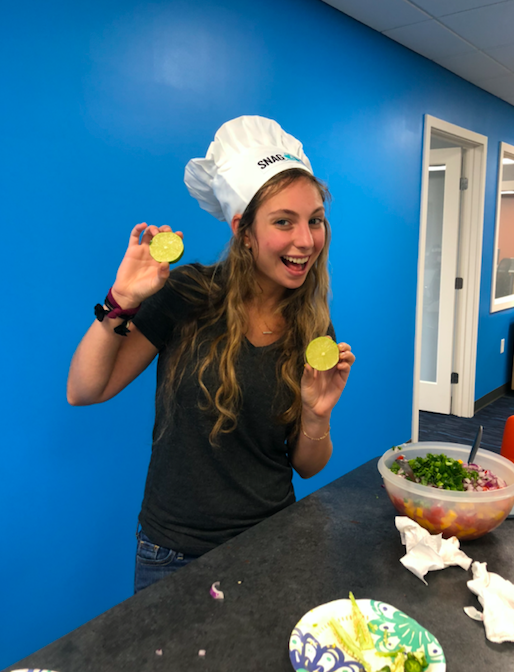 This week, we tried making a Marinalife recipe–Mango Salsa from the recipe for Anegada Lobster Tacos with Coleslaw and Mango Salsa. Now, we don’t have a full kitchen in the office but we made the best of it! The idea came to us because every week we have a Dip Day where someone brings in chips and dip for everyone in the office. We figured since Marinalife has so many great recipes, we should try to make one of them. Groceries? Check. Utensils? Check. With just some plates, a mixing bowl, two spoons and knives, we made an awesome Mango Salsa. The recipe calls for one mango, two red onions, one jalapeno pepper, two limes, cilantro, salt, and to dice and mix everything together. However, we changed it up a bit – mostly mostly because were making salsa for 25 hungry employees. 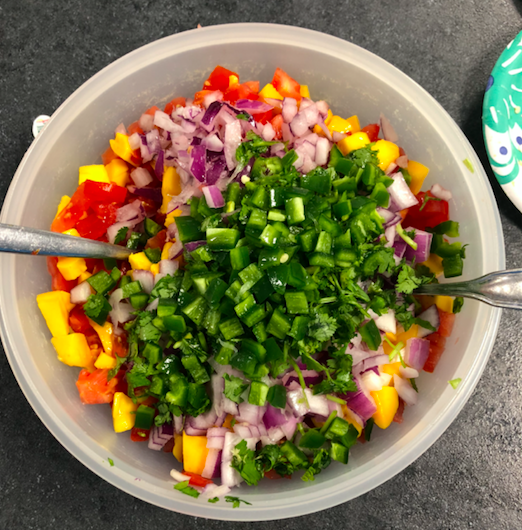 We used three containers of pre-sliced mango, half of a huge red onion, two jalapeno peppers, cilantro, and five tomatoes. This recipe is so solid that you can change things up and it’s still delicious! The final product was a huge hit around the office. Our Founder and CEO Dan even loved it! Our office is still eating it now–so, it’s that good. This was a fun project for the team and now we want to test more Marinalife recipes. Click back soon for more cooking videos to come. Check out the recipe for yourself and let us know what you think! We can’t wait to get your feedback. Check out the video of the Snag-A-Slip Team trying the Mango Salsa! 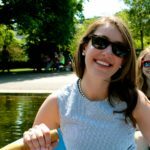 To be clear – I loved the salsa! 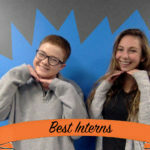 Great job Becca and Gracie – you two are awesome interns!